The third cigar in the Syncro Series is dubbed AVO Syncro South America Ritmo, following 2015’s AVO Syncro Nicaragua and 2016’s AVO Syncro Nicaragua Fogata. With Ritmo, the cigar ventures further south, exploring the wild characteristics of Peru, Brazil, Ecuador, and more. In fact, much more! Ritmo showcases the supreme blending talents of the Master Blenders at Davidoff’s world-renowned facilities in the Dominican Republic; offering a complex blend of a whopping seven countries! 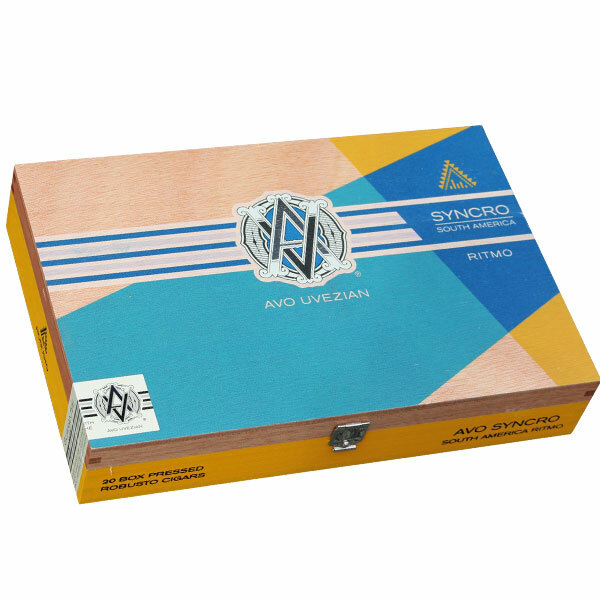 AVO Syncro South America Ritmo begins with an Ecuadorian wrapper, which conceals a Mexican binder and fillers of Dominican, Peruvian, Brazilian, Honduran, and Nicaraguan origins. The resulting flavor profile is described as “intense,” offering the elevated sophistication enthusiasts have come to expect from AVO, paired with an exotic twang and spiciness. With a medium-plus body, Ritmo displays notes of toasted almonds, fresh-cracked peppercorns, chili spice, and a thick, custard-like creaminess.